With a few exceptions (mostly holidays like Halloween and Christmas), I haven’t done much baking in the last couple of years. 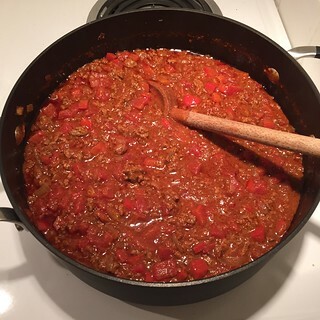 Granted, I’ve done quite a bit of other cooking (chili, of course, plus a lot of Whole30 recipes), but it’s just not the same. Looking back at my archives, I’ve been partial to pumpkin bread in the fall, but the last chocolate chip cookie recipe I posted was in February 2016. 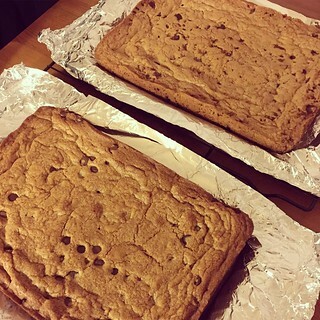 (I high recommend those brown butter and molasses chocolate chip cookie bars.) Baking used to be a weekly activity that I truly enjoyed and soothed my soul. It was certainly a welcome distraction during Gator games in the college football season! There’s something calming about mixing ingredients in the right proportions and producing a delicious treat that I can share with my friends and co-workers. These days while focusing on my favorite forms of self-care I realized that baking was one of the ways I took care of myself. Not that eating a whole bunch of cookies is particularly healthy, but I relished the process more so than the finished product. So when I got an invite to the annual Fourth of July party I saw it as an opportunity to reinvigorate this pastime and also provide dessert for everyone. 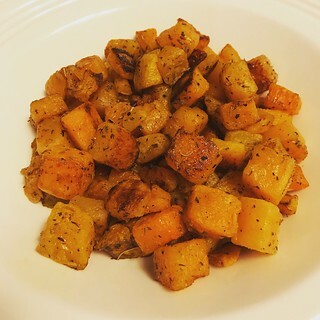 With July 4th falling in the middle of the week I knew I wouldn’t have time to make anything complicated, so I chose two old, previously posted recipes that I knew would be delicious. Also, I figured there was some leeway in both of them for me to experiment a little. I love the creativity that baking allows me – within reason, of course! 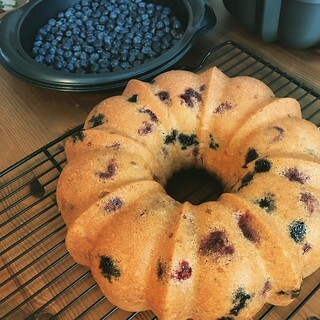 So in the berry buttermilk pound cake I used a mix of red raspberries, golden raspberries, and blueberries. The grocery store that I visited in a panic the morning of July 4th had only one package of red raspberries left so I improvised with other fruit. I also added more buttermilk than the original recipe called for – probably an extra 2 Tbsp. The end result was an amazing pound cake that I ate way too many slices of. 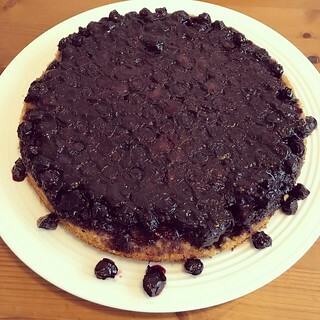 My second cake was a blueberry upside down cake that I’d made for a Memorial Day get-together a number of years ago. This time I used 1/2 c brown sugar, 1/3 c white sugar, an extra 1/2 tsp cinnamon, and an extra 2 Tbsp buttermilk. I am so glad I made those changes because the cake was absolutely incredible! It was rich, flavorful, and tasted like blueberry cobbler. It’s the perfect summer dessert and everyone at the party loved it. So will I keep up with my baking as a regular form of self-care? Well, as I mentioned, it’s not exactly the most healthy pastime, but I foresee myself mixing up some sweet treats more often during the second half of 2018. Especially in the fall when Gator football returns! I certainly need to remember that it’s a therapeutic activity that I can easily perform at a moments notice in the comfort of my own home. That is very comforting. I wish I had a video compilation of people’s reactions when they taste these peanut butter bars. In my experience their eyes get wide and they exclaim something like, “Oh my god!” Then they ask me for the recipe. These are seriously the most delicious and addictive treats I’ve ever had. Once I start eating them I have trouble stopping. One time back in high school I received a marriage proposal when a friend of mine tried one. I think I can safely say that if you like peanut butter, you’re going to love these peanut butter bars. 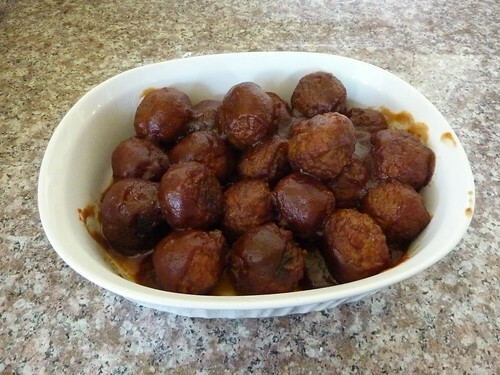 I first wrote about them back in 2011, but I halved the recipe and it just wasn’t the same. But since I needed a boatload of goodies for holiday parties and other get-togethers this week I whipped up a full batch (a whole jelly roll pan’s worth) and served them on three different occasions. I ate more than my fair share too! Didn’t I say they’re addictive? The original recipe, which is handwritten on an index card in my mom’s recipe organizer, simply says “mix together all ingredients except Hershey bar.” But I’ve found that it works best if you stir together the melted butter, peanut butter, and graham cracker crumbs in a large bowl first. You can just use a wooden spoon for this. When those ingredients are thoroughly mixed add about half of the powdered sugar and stir to combine. At this point you’re going to wonder how in the heck you’ll ever be able to get the remaining powdered sugar to mix in, but it will work. Dump the rest of the powdered sugar into the bowl and stir in as much as possible with the wooden spoon. I always have to resort to using my hands near the end before the mixture gets so thick. I promise if you work at it long enough you can get all of the powdered sugar incorporated! Press the peanut butter mixture into the bottom of a large jelly roll pan (mine is 15x11x1″), using whatever you can find to smooth it out (a rolling pin or round glass works best, but I used the bottom of a measuring cup). In a small microwave-safe bowl, melt the Hershey’s chocolate. This should take about 1-2 minutes on high. Spread the melted chocolate evenly over the peanut butter mixture with a spatula. Put the whole pan in the refrigerator to cool. 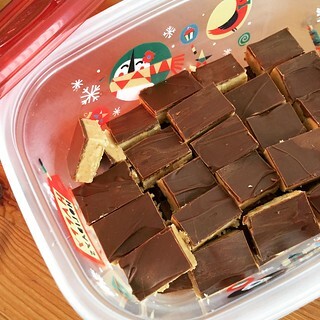 Wait until the chocolate has solidified to slice into squares. Enjoy! Based on Jane’s Peanut Butter Bars (written on an index card). 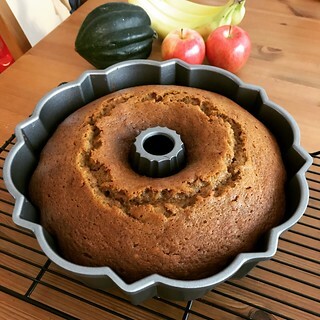 When September rolls around it means that it’s late enough in the year for me to bake with pumpkin again, but somehow I waited eighteen days to take advantage of that freedom in 2016. What a shame! But I think this pumpkin bread was worth the wait. I first tried this Taste of Home recipe over a decade ago with great success, but one of the ingredients was a tad problematic. Finding cook-and-serve vanilla pudding in 3 oz packages was impossible! I had to buy a larger box and just roughly guess at the right amount to pour into the batter. It was annoying so I found other recipes to try instead. But this year I was browsing the grocery aisles and found the little 3 oz pudding packages! It was a sign that this tried-and-true pumpkin bread recipe needed to make a comeback this fall. As I was baking today I did make a couple of minor changes to the Taste of Home recipe. Actually, they were more like augmentations. The original recipe called for just 1 teaspoon of cinnamon as seasoning, but one of my other go-to pumpkin bread recipes (see my spiced pumpkin bread recipe here) calls for a host of other spices as well. 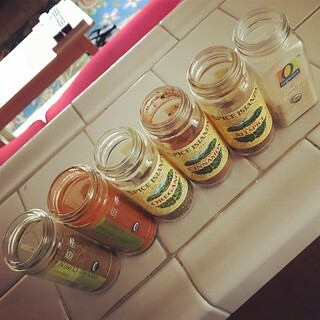 So I also included nutmeg, cloves, ginger, and pumpkin pie spice in today’s baking endeavor. Similarly, I added 2 teaspoons of vanilla because it makes everything better. The result was absolutely fantastic. In spite of being on a diet I tried a piece this evening. This may be the best pumpkin bread I’ve ever tasted! The perfect fall treat to share with my co-workers tomorrow! Beat the eggs in a large mixing bowl with an electric mixer. Make sure it’s a really big bowl because this recipe makes 2 loaves which means a lot of batter! Add the canola oil, pumpkin puree, and vanilla and beat until smooth. 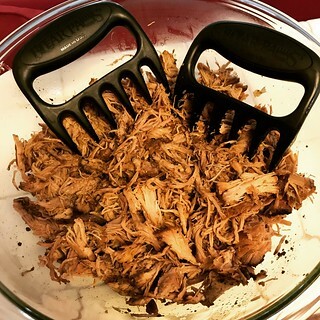 Add the cinnamon, nutmeg, cloves, ginger, pumpkin pie spice, and salt and beat until combined, scraping down the sides of the bowl with a rubber spatula as needed. Add the vanilla pudding mix and baking soda and beat until combined. Lastly, add the flour and sugar and beat until combined. Pour the batter (it’s pretty thin and easily pourable) into two 8×4″ loaf pans coated with cooking spray. 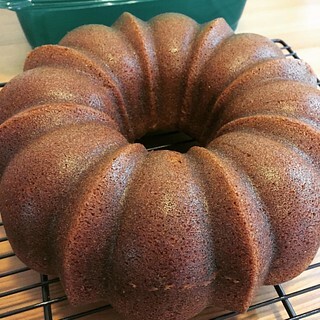 (I only have one loaf pan at the moment so I used a 12 cup bundt cake pan instead. If you go this route make sure that every nook and cranny of the pan is coated with spray because you don’t want the cake to stick!) Bake at 325 deg F for 70-75 minutes or until a toothpick inserted near the center comes out clean. Cool for 15 minutes before inverting the loaves (or cake) onto a wire rack. Cool completely before slicing. Enjoy!